Stay cosy and warm with our range ofwomen’s full zip fleeces. We offer an excellent range of styles, sizes and colors at Craghoppers. Get yours online today and our ladies’ full zip fleece jackets will insulate you for those outdoor adventures all season. Invest in a women’s full zip fleece hoodie for your next adventure – whether you’re exploring the history of a foreign city or hiking up the hills of your local park, your women’s full zip fleece will keep you protected for every eventuality. As versatile as it is comfortable, team your ladies’ full zip fleece jacket with a pair of walking pants for your next adventure, perfect for locking in heat so you can spend more energy on discovering new territories. 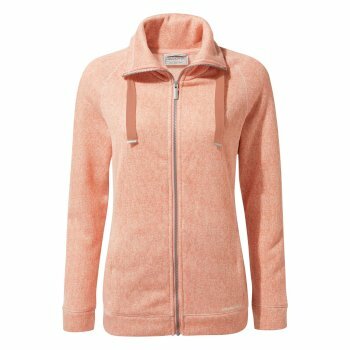 Zip up tight in your women’s full zip fleece hoodie when the weather is cooler, and zip down for a breathable extra layer when the sun is peeking through the clouds. For a dependable layer that will last time and time again, browse our selection of women’s full zip fleece jackets to find the perfect fit for you. In an array of colors and styles, choose your favourite women’s lightweight full zip hoodie for the desired fit.That way, you’ll have immediate protection against chilly winds and cool weather. Pop your women’s full zip fleece hoodie in your rucksack with its lightweight compactable properties, or take out when the sun goes in. With soft fleece lining to microfleece fabric, this stylish collection of women’s full zip fleece hoodies is an essential for every outdoor enthusiast’s wardrobe. Our women’s full zip hoodies are part of our entire collection of women’s fleeces. Browse through our entire range of women’s full zip fleeces today. 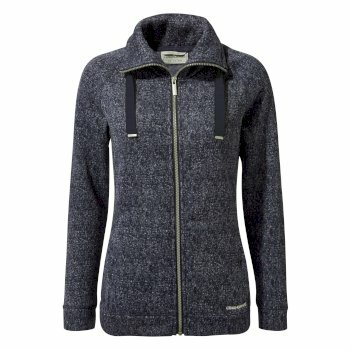 Alternatively, check out our collection of women’s half zip fleeces.